Inspiration from NGHS alumna Alexandra King, Digital Producer for CNN. We were delighted to welcome back NGHS alumna, Alexandra King, to talk to our Year 11 girls as part of their PSHE programme recently. Alexandra attended NGHS from 1997 – 2003, studying English Literature, History and RE at A Level. She then took a gap year before studying for her English Literature degree at University College, London, followed by a Masters degree in Journalism at Colombia University. 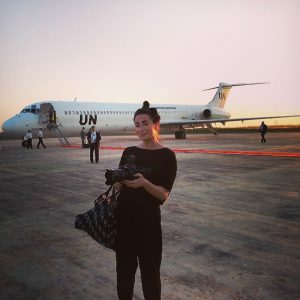 Her drive, ambition and success in her qualifications led to Alexandra becoming the first female in-house United Nations producer to accompany the UN Secretary General while covering human rights stories around the world. With many journalistic and reporting experiences under her belt, Alexandra is now working as a Digital Producer for CNN in New York and covers breaking news and politics, concentrating on social justice issues. Alexandra delivered a fantastic talk to the girls reminiscing about her days at NGHS and also what she would say to her 16 year old self if she had the time all over again. The audience were on the edge of their seats, eager to hear more about her adventures and laugh at her funny stories. It was wonderful to have a young, dynamic alumna back in school to raise the girls’ aspirations. 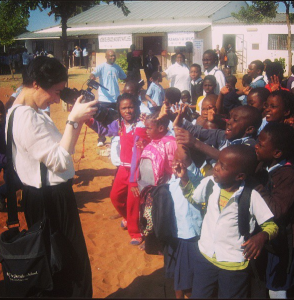 She spoke about how life at NGHS equipped her for life after Sixth Form, how the world of journalism needs you to be brave, possess the art of listening and follow the truth, and how it is great to return to school 15 years later and pay something back. We were delighted to have Alexandra here again with her positive attitude, her humerous anecdotes and tales of her success. It was also the perfect opportunity for us to congratulate her on having been shortlisted for the GDST Alumna of the Year Award.